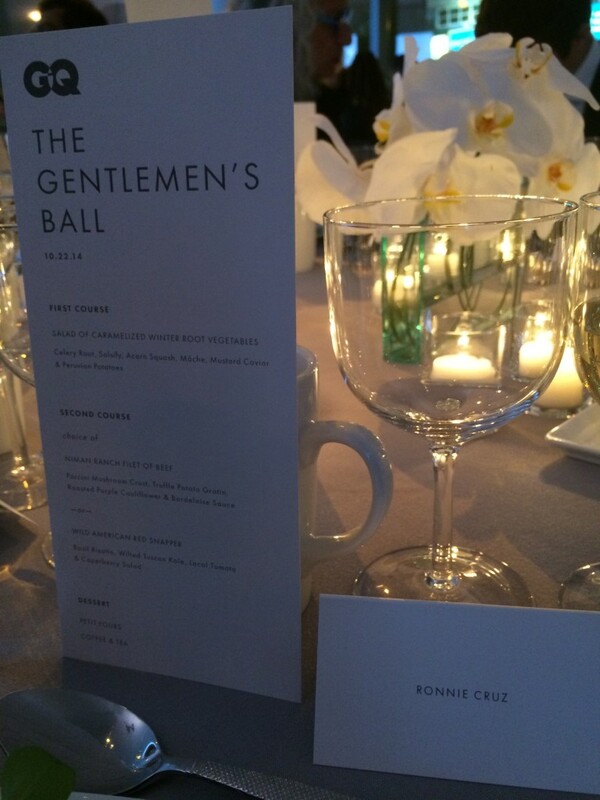 Okay sure, so I was at GQ's Gentlemen's Ball, but what does it all mean? When I was looking for material for this post, doing a search on the event brought back plenty of returns. With the collection of who's who at the gala, there certainly was no shortage in media coverage. What surprised me though was the substance of that coverage. The entire first page of the search produced articles commenting on the designer suits and the brand of shoes the honorees were wearing. As a matter of fact, in an Access Hollywood video, the interviewer's first question to Andrew Garfield was about his beard (she did redeem the interview and gave him a chance to speak about the work he was being recognized for). How very little attention was put on the actual purpose of the event surprised me. They weren't being honored for their haircuts, or their beards, or the suits and shoes they were wearing, or even whatever movie they might be working on next. They were being recognized for bringing a voice and awareness to some very worthy causes, causes that are making a positive impact in the world. And so this got me thinking. I was afraid my previous post might be misconstrued as a "ooh look at me, look at what I'm doing" type of post. Don't get me wrong. It was pretty awesome and I was incredibly excited to be there. I am and will always be deeply honored and eternally grateful to Dr. Jane Aronson for extending the invitation to me. But the real story is not that I was there or that I sat a table with Andrew Garfield. No. The real story, and my hope in sharing it with you, is that my experience that night amidst all that glitz and glam draws your attention to what really matters — World Wide Orphans and the other organizations represented there. 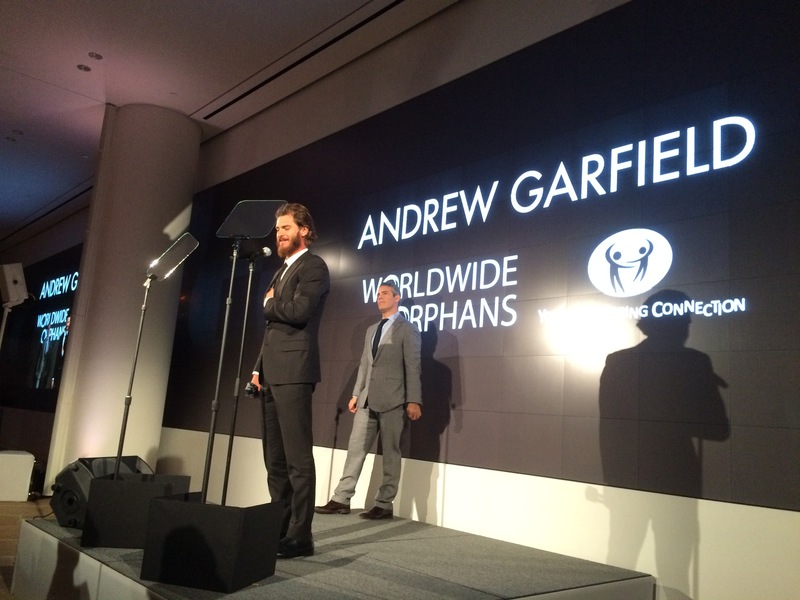 As Andrew and Emma's brilliance with the paparazzi brought my attention to World Wide Orphans, I hope that the story of my adventures at the GQ Gentlemen's Ball brings focus and attention to the causes represented that night. There's a whole world out there that needs you. And that's what really matters. 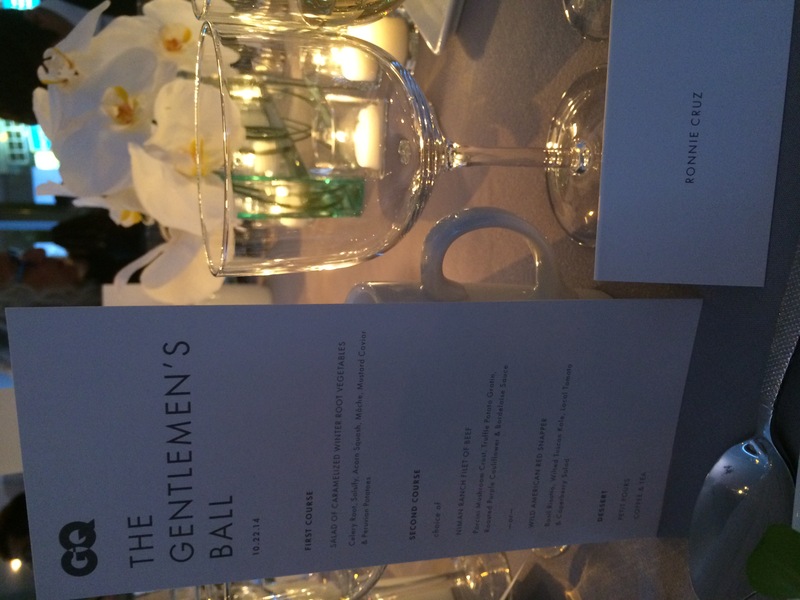 To learn more about the organizations honored at this year's Gentlemen's Ball, please take some time and click on the links below.